"It's about tricking or attracting people to do the right thing in traffic. It should happen automatically", MariAnne Karlsson explained, who works with the project MeBeSafe. 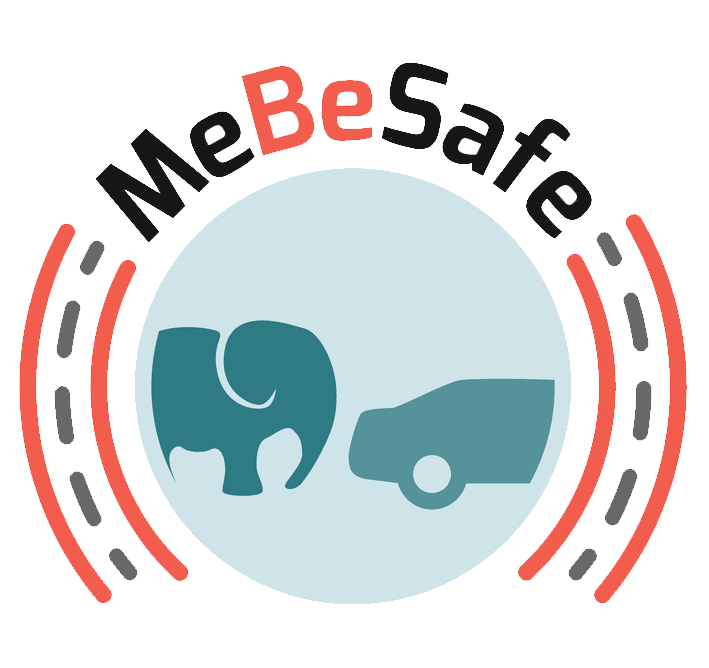 MeBeSafe is an EU-funded project where various nudging solutions should be tested with the aim of changing the driver's or cyclist's behavior in different traffic situations. "Nudging is new in road safety. In the project we will test, for example, whether it is possible to influence cyclists and motorists to make them adapt the speed in a situation where there could arise a risk", says MariAnne Karlsson. MarieAnne Karlsson, professor at Chalmers University of Technology is studying how painted traffic obstacles can may cyclists slow down. The Tylösand seminar is arranged by Motorförarnas Helnykterhetsförbund (The Teetotal Motorists Association). Many aspects are about drunk driving, but this year there is also a focus on modern technology - such as nudging. The Horizon 2020 EU project MeBeSafe (Measures for Behaving Safely in Traffic) has successfully started its first baseline measurements within the project in Eindhoven, The Netherlands. The measurements at an Eindhoven motorway exit tracks the current driving behaviour of drivers at this location to build the basis for further research for improving traffic safety by the concept of nudging. The measurements at a busy intersection in the city centre are used to study the variation in cyclist flows and directions during a full week 24/7. Heijmans has joined the European Horizon-funded Horizon 2020 project Measures for Behaving Safely (MeBeSafe) in Traffic. The first baseline measurement was done for this in Eindhoven. LED Magazine reports. In the "Infrastructure Measures" work package within the MeBeSafe project, the RWTH Aachen with the Institute for Motor Vehicles (ika) and the Institute of Roads (ISAC), the BMW Group and Heijmans, aim to help drivers to behave safely on the road. By implementing infrastructure nudging measures, drivers should be encouraged to choose an appropriate speed and safe driving trajectory. In addition, in this way especially the drivers are to be addressed, which show a potentially riskier driving behavior. The Horizon 2020 EU project MeBeSafe (Measures for Behaving Safely in Traffic) has successfully completed its first baseline measurements within the project in Eindhoven, the Netherlands. The measurements taken at a motorway exit in Eindhoven and further measurements at a busy intersection in the city center collect data on the current driving behavior, record traffic flows and driving directions and form the basis for research on improving road safety through the concept of "nudging". In Eindhoven the first baseline measurement was done for a work package of the EU-funded 'Horizon 2020' project MeBeSafe (Measures for Behaving Safely in Traffic). Researchers at the Institute for Automotive Engineering (ika), the Institute of Highway Engineering (ISAC) at RWTH Aachen University, BMW and Heijmans are using the baseline measurement for their research into behavior influencing measures and road safety-enhancing developments. The goal of the MeBeSafe main project is to reduce the number of accidents on the road by breaking through the habitual behavior of road users. This goes through the principle of 'nudging': consciously influencing unconscious behavior. Literally translated, a nudge is a gentle push in the right direction. The Royal Swedish Academy of Sciences decided to award Sveriges Riksbank's prize in economic science in memory of Alfred Nobel 2017 to Richard H. Thaler, University of Chicago, IL, USA for his contribution to behavioral economics. And the same theory - nudging - is now being tested at SAFER Traffic Safety Center to find out if traffic safety can be improved. A nudge means a friendly little push towards a behavioral change. The Nudging concept intends to subconsciously drive people to make a desired choice without limiting alternative choices of documents. By preserving freedom of action and giving choices, nudging is less intrusive and can give a more positive effect. Megan Lampinen examines the pivotal contributions of psychologists to vehicle design and road safety. With the rapidly changing in-car environment, their importance will only increase Engineers may receive most of the credit for successful vehicle design, but the psychologists behind the scenes are playing an increasingly critical role. They are employed by companies and agencies across the automotive spectrum to better understand how humans interact with vehicles and the environment. With the arrival of increasingly automated technology, this is changing rapidly…. The MeBeSafe project takes the nudging concept from behavioural science to change unhelpful habitual behaviours, writes Megan Lampinen Road safety comes in many forms, from seat belts and lane keeping technology to stronger vehicle materials and road design. Driver behaviour also plays a key role – the better the driver, the safer the roadways. Researchers in Europe are looking specifically into coaching drivers through gentle ‘nudging’ measures. “One of the main sources for accidents is the behaviour of the driver,” commented Professor Maximilian Schwalm from RWTH Aachen – Institute for Automotive Engineering (ika). Funded by the European Commission (EC) under its Horizon 2020 program, the MeBeSafe (Measures for Behaving Safely in Traffic) aims at changing driving habits using ‘nudging’, a concept relating to subconsciously pushing humans in a desired direction without being prohibitive. A new type of rumble strip to encourage cyclists to cut their speed when approaching dangerous junctions is to be trailled in an EU-funded research project. The €7.1m MeBeSafe project is exploring ways to modify road user behaviour to improve safety, including driver training, in-vehicle advanced driver assistance systems (ADAS), and physical changes to the road surface. The research project is led by the Institute for Automotive Engineering at RWTH Aachen University in Germany. The EU-funded 'Horizon 2020' project MeBeSafe (Measures for Behaving Safely in Traffic) started on 1 May 2017. The aim of the project is to reduce the number of accidents on the road by breaking through the habitual behavior of road users. This goes through the principle of 'nudging': consciously influencing unconscious behavior. That is how it works By allowing road users to maintain their freedom of action and to give multiple choices, the measures are not perceived as intrusive. The EU MeBeSafe project (Measures for Behaving Safely in Traffic) bridges the gap between traffic engineering and behavioral sciences thanks to the principle of 'nudging': consciously influencing unconscious behavior. With the aim to reduce the number of accidents on the road, by breaking the habitual behavior of road users. The principle of 'nudging' derived from the behavioral sciences relates to the unconscious influence of people to make certain choices, without forbidding alternative choices. The project aims to reduce the number and severity of traffic accidents by changing our regular traffic behavior directly. For example, different "nudging" actions will be used so that weary drivers pause or that cyclists slow down the intersections. Most measures to increase traffic safety today, appeal to awareness (speeding), to act autonomously on behalf of the user (autonomous brakes, traffic lights) or attempt to "help" users by presenting feedback and other information (showing speed of sign along the roadside ). Unfortunately, several of these measures are not very effective as users either turn them off or do not act on the information provided. The EU-financed Horizon 2020 project MeBeSafe (Measures for Behaving Safely in Traffic) has successfully celebrated its kick-off. The project aims at reducing the number and severity of road accidents by directly changing our habitual traffic behaviour. Various “nudging” and coaching measures will be used to get tired drivers to take a break and cyclists to reduce their speed in intersections for example.